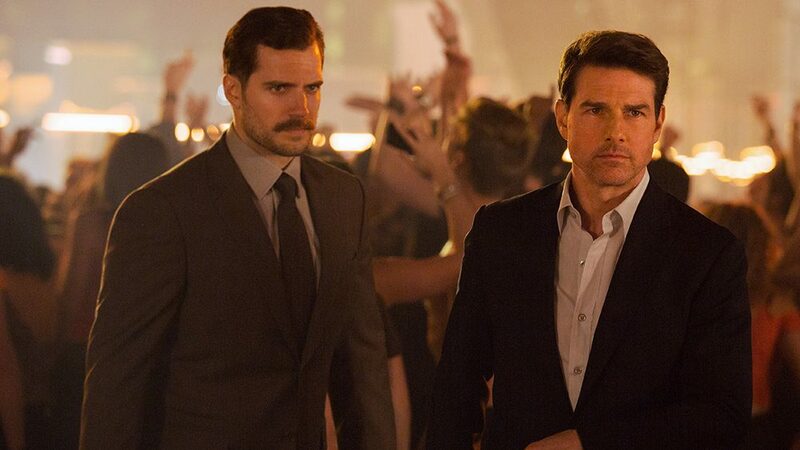 I had two distinct thoughts going into Mission Impossible: Fallout: “would the mustache be worth it,” and “how can the franchise top themselves this time?” The first was a joke regarding Henry Cavill’s studio-mandated mustache, resulting in a very uncanny upper lip throughout Justice League’s runtime. Short answer: the stache is very impressive on Cavill’s face. The second question, however, reflected my constant amazement at Mission Impossible’s bewildering legacy. After all, more than twenty years has evolved Mission Impossible from just “another” adaptation to a staple of the Hollywood action genre. Excluding the Fast and the Furious movies, it’s hard to think of a modern franchise that can boast about making great movies at their fourth, let alone sixth, entry. Yet, that’s what Mission Impossible has done since finding a groove in Ghost Protocol, outdoing itself in character dynamics, set pieces and gravity-defying stunts that feel… well impossible. You’d think the writers would have peaked at Tom Cruise climbing the world’s tallest building, but Fallout goes above and beyond the series’ already high expectations. Two years after the events of Rogue Nation, IMF agent Ethan Hunt is informed that the followers of disavowed MI6 agent Solomon Lane (Sean Harris) remain at large. Now reformed as a terrorist-for-hire cabal called the Apostle, Hunt is ordered to prevent a trio of plutonium cores from falling into their hands. Naturally, this plan does not go according to plan, forcing Hunt and his usual team- Simon Pegg’s Benji Dunn and Ving Rhame’s Luther Stickwell- to retrieve them on orders of IMF secretary Alan Hunley (Alec Baldwin). This is a plot that the Mission Impossible films, for all their strengths, tends to fall back on: retrieve nuclear McGuffin or risk doomsday. 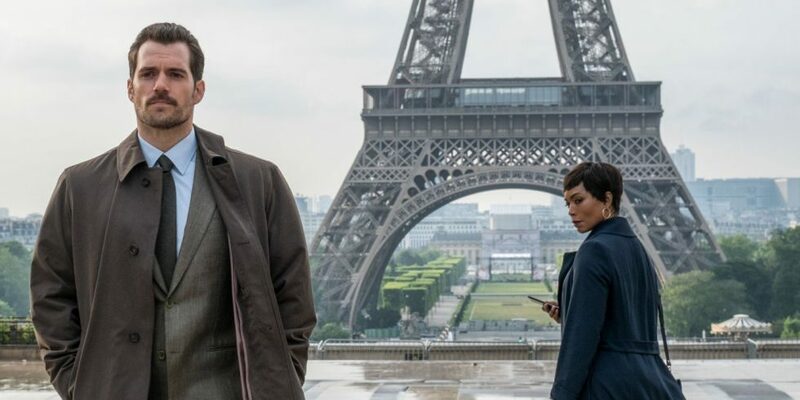 The inclusion of Cavill’s August Walker, working on behalf of CIA director Erica Sloane (Angela Bassett), shakes things up by incorporating third party interests into the plan. Further complicating things is the return of Rogue Nation’s Ilsa Faust (Rebecca Ferguson), who is pursuing an agenda concerning her former ties to Lane’s Syndicate. The result is a narrative that mostly succeeds in masking its familiarity, even if I managed to call some important twists ahead of their reveals. This globetrotting scavenger hunt ultimately ties into Fallout’s exploration of Hunt’s character, asking what kind of man he is after all this time. 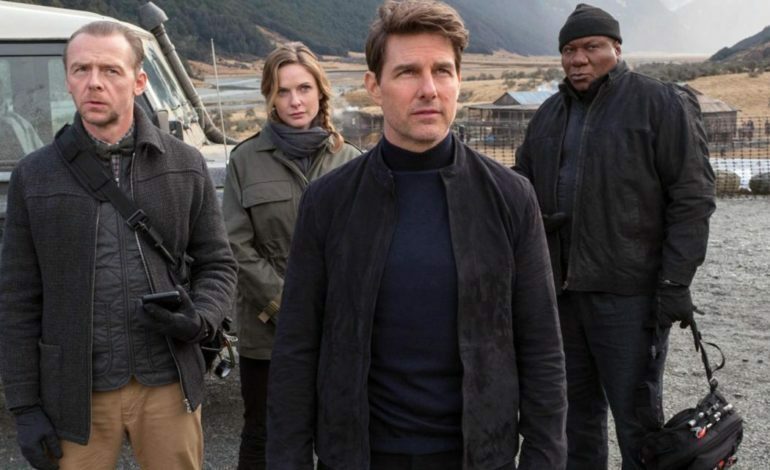 Six entries of Tom Cruise running and putting his life at risk for the sake of a perfect scene might be thrilling in the moment and, for some viewers, it’s all they’re here to watch. Yet, while Fallout never goes to Skyfall lengths in deconstructing its hero, it does showcase Hunt’s willingness to protect those he views as family. It helps that, with Christopher McQuarrie reprising the director’s chair after Rogue Nation, this film can rely on previous allies and adversaries for the sake of ongoing development, including Michelle Monaghan’s return as Hunt’s ex-wife, Julie. However, this requires actually remembering the previous Mission Impossible story lines and characters, many of which previously existed as a means of moving the action forward. But, if the trailers are anything to go by, most people are here to see Tom Cruise attempt daredevil stunts and make hand-to-hand fights look easy. In that regard, Fallout might be the best action film since Mad Max: Fury Road. Fight scenes feel visceral and brutal, with the weight of each punch feeling like it would knock the wind out of anyone else. Chases are framed from multiple camera angles over widespread spaces, yet never feel like their sense of depth or scale is cluttered. Much like Fury Road, John Wick, or various MCU titles, it’s refreshing to see an action movie treat its fights with artistic integrity, rather than prioritize spectacle over cinematography. It’s the set pieces, however, that are truly jaw dropping in how far they push the action genre to new heights. Granted, nothing here quite beats Ghost Protocol’s infamous Burj Khalifa climb, but seeing Cruise perform a HALO jump from 25,000 feet comes a close second. From a bike/car/foot chase across the streets of Paris to a bone-crunching bathroom fight in a nightclub, nothing feels artificial. Even the climactic helicopter chase plastered across the trailers feels grand when you realize how much of it is genuinely practical. Every shot feels like it’s trying to raise the stakes from a visual level, rather than be reliant on CGI templates as a crutch. After watching Mission Impossible: Fallout, I have no clue how the franchise can top itself, yet feel rather optimistic that it will find a way. This is already the best summer blockbuster of 2018 and would need something of an Infinity War-level quality to beat it right now. At some point in his career, Tom Cruise will probably have to bow out of the Mission Impossible franchise. Until then, it’s very likely people will choose to accept more sequels if they are anything like this one.